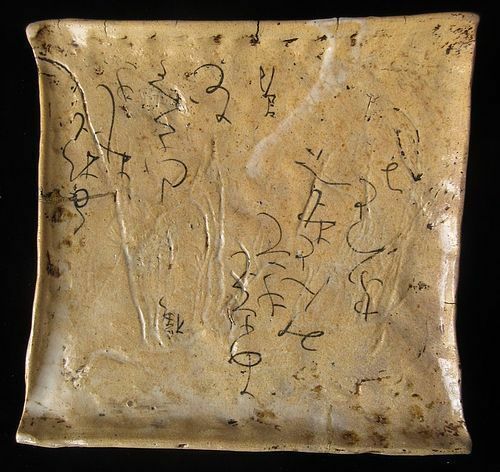 Chinese Neolithic ceremonial harvesting blade (hu), made of semi translucent mottled green nephrite. Exceptionally thin and sharp cutting edge. 4 conical holes would have been for attaching to wooden handle on working versions of this type of blade. 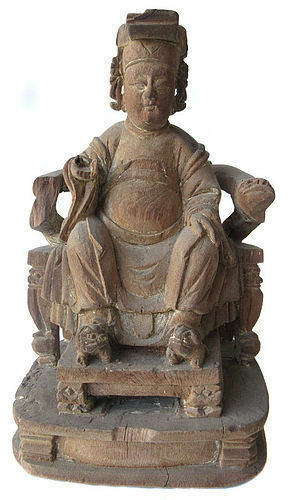 Likely from the Longshan culture. On a custom wooden stand. Age: (Circa 2,000 B.C.) Provenance: Came from an Estate of Philip Cardiero in Pebble Beach, CA. Size: 19 1/4" long x 3 7/8" wide x 3/16" thick. 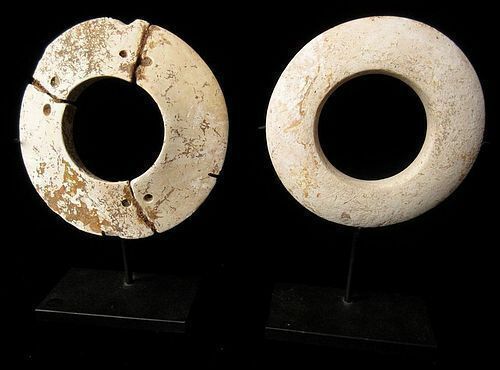 Antique Chinese pair of archaic hand carved bracelets, rested on custom iron display stands. Hand carved from Limestone. Circa: 2,000 B.C. 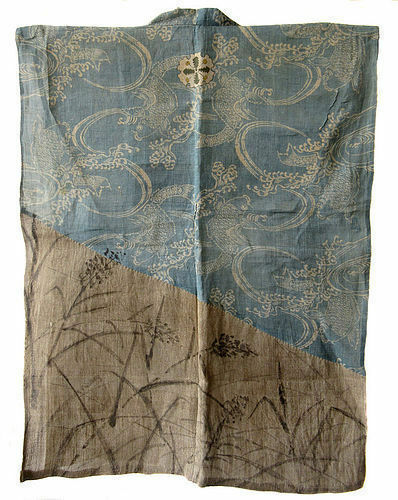 Antique Japanese asa (hemp) woven vest with a beautiful paste resist pattern of swimming koi fish and waves sewn over a hand painted scene of reeds. Beautiful and charming with its original condition. Edo Period (circa early 1800's). 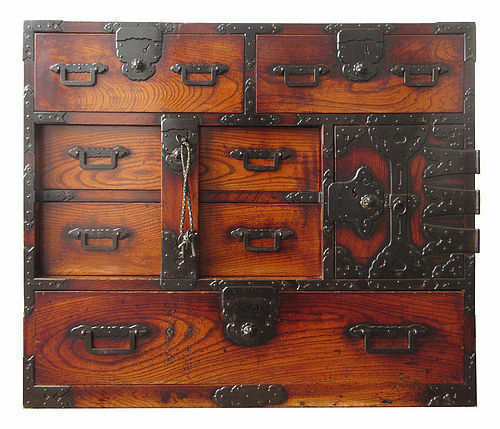 Size: 31.5" H x 23.5"
Japanese Keyaki (zelkova) choba tansu (merchant chest) with complete original lacquer finish. Quartered sawn keyaki hardwood relieving the distinctive woodgrain seen on all sides. Solid Keyaki hardwood used in every part of construction. 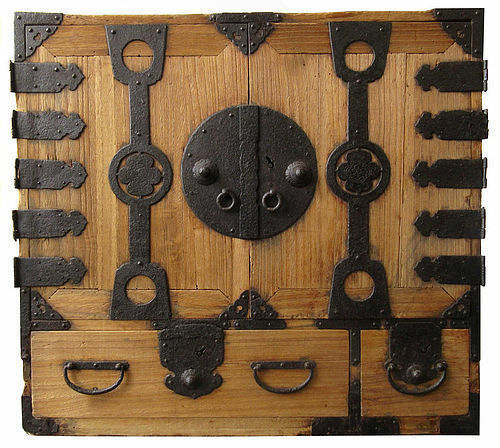 Adorned in heavy iron hardware and original locking bar. Excellent original condition. Working keys are included. 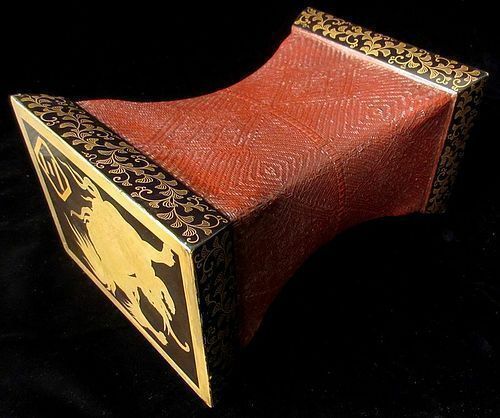 This is a top example of a Edo period Japanese Choba Tansu. 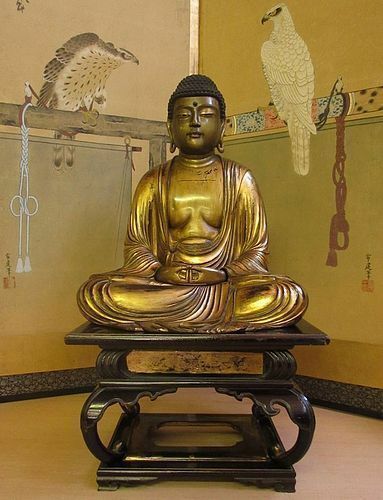 Japanese 18th/19th century Edo age seated Dainichi-nyorei Buddha. 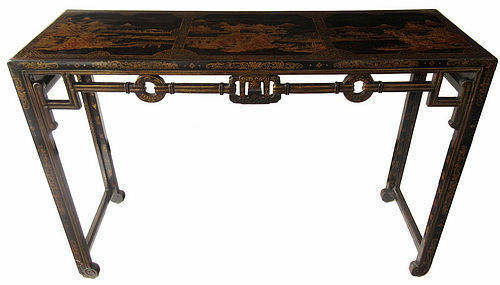 Lacquered and gilded wood. Hands carved beautifully. (stand and screen are not included) height 20.5" width 13" length 16.5"